Book of Mormon Event homeBuy ticketsOur reviewCustomer reviews HamiltonThe PromNetworkTo Kill a MockingbirdKiss Me KateHadestownOklahoma! The perfect Broadway musical. 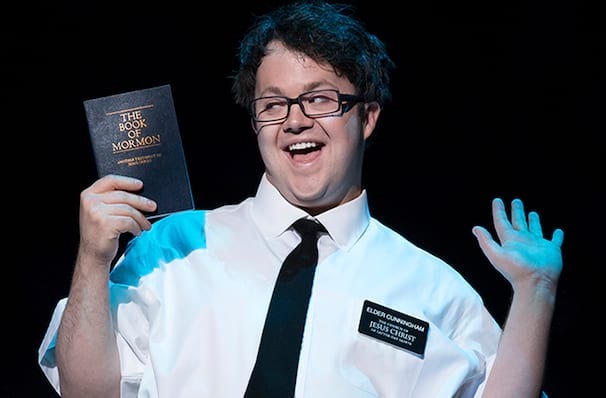 Behold The Book of Mormon. An exhilarating Broadway musical at once revolutionary and classic, hilarious and humane, funny and obscene, uncompromising in production standards and unafraid of just about anything. 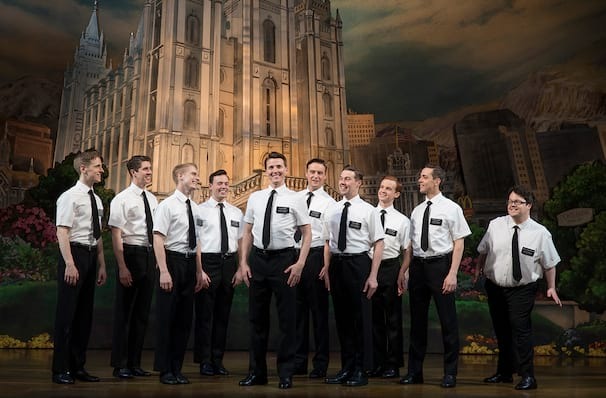 Why See Book of Mormon? 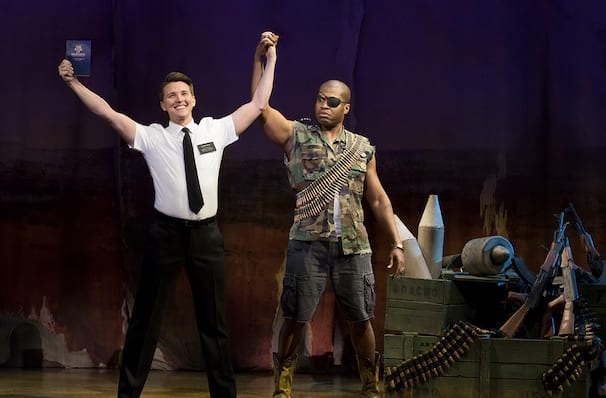 The Book of Mormon has had awards heaped upon it, earning 13 Tony nominations in 2012 and going to win nine of them including Best New Musical. In the same year, it also won four Drama Desk Awards, four Outer Critics Circle Awards, and even a Grammy Award in 2012! This smash-hit musical was written in collaboration with Robert Lopez, the Tony Award-winning writer of Avenue Q, and co-directed by Mr. Parker and three-time Tony nominee Casey Nicholaw (Spamalot, The Drowsy Chaperone). 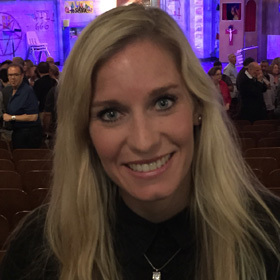 'The greatest time of a Mormon kid's life is his mission,' sings Elder Kevin Price before finding out where and who with, his journey will begin. 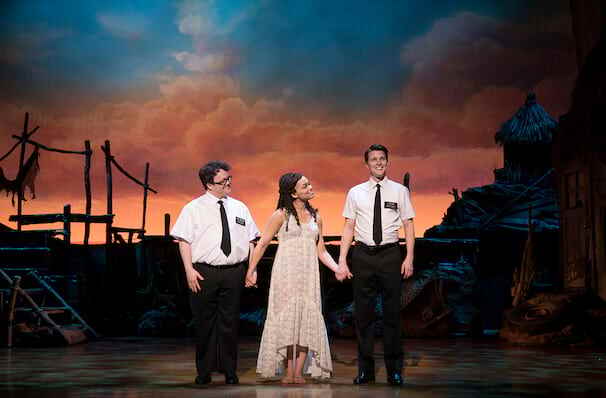 But things are not as the handsome and pious Elder Price predicted, when he's paired up with the hapless and puppy-like Elder Cunningham and sent off to the wilds of ...UGANDA! Disneyland this isn't, boys. Their adventure unfolds as Elders Price and Cunningham attempt to preach The Book Of Mormon to a Ugandan rural community that has been blighted by disease and ruled over by an evil war lord. Despite some truly cringeworthy false starts and misunderstandings they learn about themselves, the true meaning of friendship and what their religion ultimately means to them. 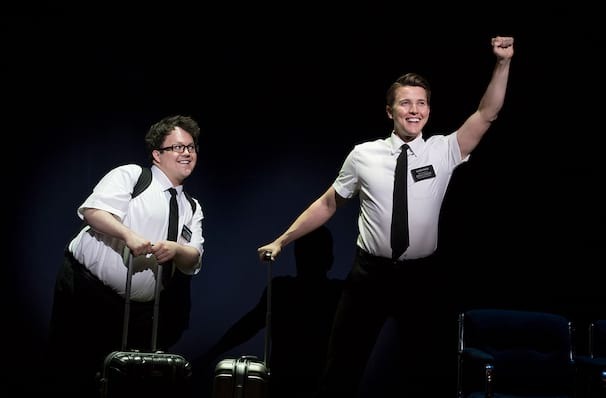 Despite initial worries that the Church of Latter-Day Saints would be picketing the Broadway show as well as its national tour, these cool cats have donned a wry grin and have been overall supportive of The Book Of Mormon and its good-natured lampooning of the LDS, and have taken out large advertisements in BOM playbills world-wide under the heading 'You've seen the play, now read the book'. We take our hats off to these guys. Sound good to you? 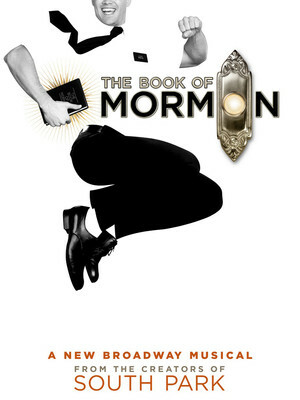 Share this page on social media and let your friends know about Book of Mormon at Eugene O'Neill Theatre.